Skype is a wonderful application developed by Skype Technologies – The United States; this has been developed for instant messaging and communications. Skype has upgraded to various modes of communications; it includes voice calling, video calling, instant messaging, conference calls, file sharing up to 300 MB size and of course calls to any mobile or landline number using Skype credits. Once you are done with the recovery, you should follow the Fair Usage Policy (FUP) to avoid any future trouble. These quick tips will help you to get away from any of such issues. You should always make sure that you are not violating any of these policies. 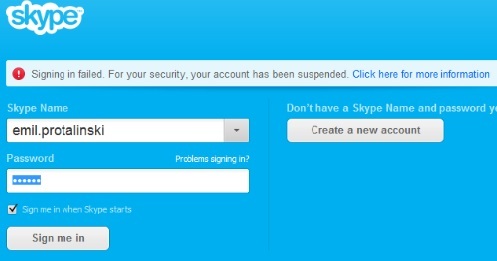 Well at some extent it is possible to recover the banned Skype account. It will become possible when you authenticate your Microsoft account properly. Now it guide you step by step & ask for some security questions like your email, phone number, a security question. Just enter the asked details. Once you completed with the above steps of recovery, you should follow the Fair Usage Policy (FUP) to avoid any future trouble.